Up to five conservation researchers accused of spying by the Iranian government could face the death penalty if convicted, according to multiple media reports. Conservationists Niloufar Bayani, Taher Ghadirian, Houman Jowkar, Sepideh Kashani and Morad Tahbaz work with the Persian Wildlife Heritage Foundation on the conservation of different wildlife species in Iran, which includes monitoring animals such as Asiatic cheetahs (Acinonyx jubatus venaticus) with camera traps. The country’s Islamic Revolutionary Guard Corps, which reports to the country’s supreme leader, alleges that the team used camera traps to collect information on Iran’s missile program, Science magazine reported Oct. 30. Asiatic cheetah by Behnam Ghorbani via Wikimedia Commons (CC 4.0). 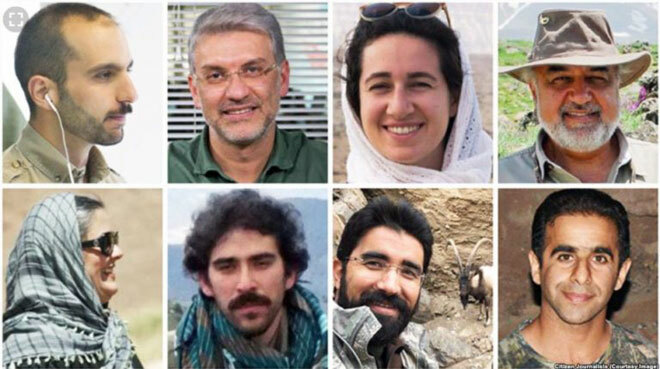 The eight environmentalists from the PersianWildlife Heritage Foundation currently being held in Iran on charges related to espionage. Image © #anyhopefornature. The five are among a group of eight — which also includes Amir Hossein Khaleghi,Abdolreza Kouhpayeh and Sam Rajabi from the same organization — being held in custody, according to The Guardian newspaper and other media reports. A sociologist and manager of the Persian Wildlife Heritage Foundation, Kavous Seyed Emami, who was arrested in early 2018, died under suspicious circumstances in February while in custody, observers said according to a report in The New York Times. “This is a very bizarre charge to bring against environmental activists,” Tara Sepehri Far, a researcher with Human Rights Watch (HRW), told Science. “Nine months of pre-trial detention with no clear charges and no access to a lawyer is an unusually long time even by Iran’s dismal due process standards. It’s hard not to conclude that the authorities are struggling to gather enough evidence to charge them with any recognizable crime,” Sepehri Far wrote in a post for the Atlantic Council, a think tank, before the revelation of the charges. 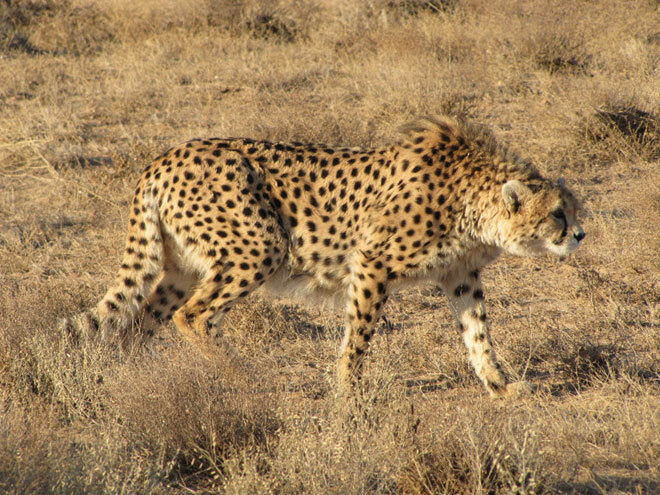 The Asiatic cheetah, likely numbering fewer than 50 individuals, is found only in Iran. Image by Tasnim News Agency via Wikimedia Commons (CC 4.0). She said an investigation at the behest of Iranian President Hassan Rouhani did not find that the accused environmentalists were spies, which put them at the center of a “domestic power struggle” with hard-liners in the judiciary and the Revolutionary Guard. If convicted, the environmentalists could face sentences ranging from six months up to the death penalty. “It is hard to fathom how working to preserve the Iranian flora and fauna can possibly be linked to conducting espionage against Iranian interests,” a group of experts calling on the Iranian government to have the charges dropped said in a statement from the United Nations Office of the High Commissioner for Human Rights. Jon Paul Rodríguez, a biologist at the Venezuelan Institute for Scientific Research and chair of IUCN Species Survival Commission, highlighted the value of the work that the researchers had been doing. “As far as I am aware, practically the only information we have on the Asiatic cheetah comes from camera traps,” he said. Asiatic cheetahs likely number fewer than 50 individuals, based on a 2017 study co-authored by Jowkar, one of the people charged in this case, and the IUCN has considered the subspecies critically endangered since 1996. Because cheetahs live at low densities, the traps represent a much more efficient and economical tool to get an accurate picture of their population. In Botswana in southern Africa, scientists have used camera traps to demonstrate to ranchers that a cheetah on their property isn’t as dangerous to their livestock as they might think. An Asiatic cheetah in Miandasht Wildlife Refuge in Iran. Image by Behnam Ghorbani via Wikimedia Commons (CC 4.0). The detentions and the charges leveled have rattled the international scientific community. “IUCN is deeply alarmed by the charges,” Rodríguez said. First reported by Science, hundreds of scientists have signed a letter asking Ayatollah Ali Khamenei, Iran’s supreme leader, to ensure a fair and “transparent” trial for the eight researchers. Khalatbari, L., Jowkar, H., Yusefi, G. H., Brito, J. C., and Ostrowski, S. (2017). 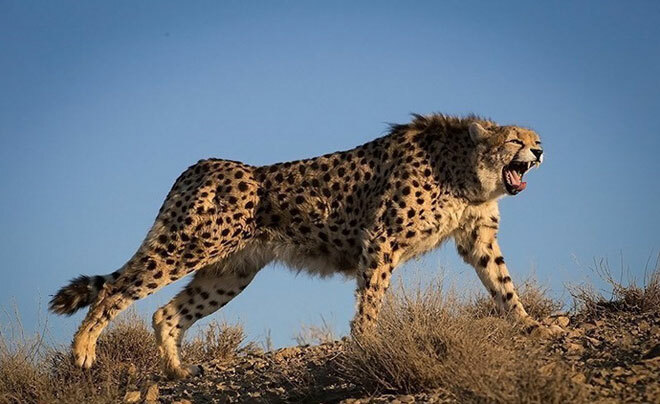 The current status of Asiatic cheetah in Iran. Cat News, 66, 10-13. This article by John Cannon was first published on Mongabay.com on 27 Nov 2018. I care very much about Conservationists and people who do good for this Earth. I am an Animal Rights Activist and feel very concerned for these people. Thank you for the article and wondered if a Petition site could help them have their freedom again? Unbelievable – too many conservationists are being targeted for ulterior motives – Malta and Turkey have seen conservationists fall to paid assassins. Probably corrupt politicians or business interests. Now these trumped up charges. Obviously not ideal equipment for spying on anything but passing wildlife. I am absolutely staggered that these people can possibly be accused of spying! This is unbelievable. I am positive that these people were merely concerned about animals, not interested in spying. Please release these people with no charges.